William CROWDER was born in 1820 in , , Tennessee. William married Margaret. Margaret. Margaret married William CROWDER. F i Sarah C. Katie CROWDER was born in Jan 1857. She died on 6 Oct 1905. Sidney Theodore "Ted" DAY was born on 19 Sep 1914 in , , Alabama. He died in Sep 1986 in Wellington, Calhoun, Alabama. Sidney married Ruby Lee KUYKENDALL. Ruby Lee KUYKENDALL [Parents] was born on 9 Jan 1916 in , Etowah, Alabama. She died in May 1986 in Wellington, Calhoun, Alabama. Ruby married Sidney Theodore "Ted" DAY. James Edward DAY was born on 8 Mar 1948 in , Etowah, Alabama. He died on 23 Feb 2001 in Wellington, Calhoun, Alabama. Henry L. HESS was born on 21 Jan 1793 in Rowan, Surry, North Carolina. He died on 19 Jan 1898 in , Russell, Virginia. Henry married Mary "Polly" BELL in 1812 in , Rowan, North Carolina. Mary "Polly" BELL [Parents] was born in 1800 in , , North Carolina. She died in 1870 in , Russell, Virginia. Mary married Henry L. HESS in 1812 in , Rowan, North Carolina. John HESS was born about 1813 in , Russell, Virginia. He died before 1870 in , Russell, Virginia. Henry HESS was born in 1814 in , Russell, Virginia. He died in Jul 1904 in , Russell, Virginia. F iii Mary "Polly" HESS was born on 13 Nov 1819. She died on 22 Feb 1924. Rebecca HESS was born in 1820. William HESS was born in 1822 in , Russell, Virginia. Sarah Griffith HESS was born in 1825 in , Russell, Virginia. She died on 27 Sep 1890 in , Russell, Virginia. M vii Patton HESS was born on 4 Apr 1833. He died on 29 Sep 1893. Martha J. HESS was born in 1833 in , Russell, Virginia. She died in New Garden, Russell, Virginia. Mathias HESS was born in 1835 in , Russell, Virginia. He died on 1 Oct 1886 in , Russell, Virginia. James HESS was born on 6 Mar 1849 in , Russell, Virginia. He died on 4 Aug 1906 in , , Virginia. Patton HESS [Parents] was born on 4 Apr 1833 in , Russell, Virginia. He died on 29 Sep 1893 in , Russell, Virginia. Patton married Sarah "Sallie" MILLER on 22 Jan 1852 in , Russell, Virginia. Sarah "Sallie" MILLER was born on 27 Jun 1828 in , Russell, Virginia. She died on 22 Dec 1905 in , Russell, Virginia. Sarah married Patton HESS on 22 Jan 1852 in , Russell, Virginia. Joseph WHISENHUNT [Parents] was born on 8 Mar 1837 in , Carroll, Georgia. He died on 7 Mar 1897 in Center Point, Howard, Arkansas. Joseph married Parthinia WHITE in 1864. Parthinia WHITE [Parents] was born in 1847 in , , Tennessee. She died on 28 Nov 1889 in , Pike, Arkansas. Parthinia married Joseph WHISENHUNT in 1864. John WHISENHUNT was born on 4 Apr 1866 in , Pike, Arkansas. He died on 31 Mar 1920. Pleasant "Pleas" WHISENHUNT was born on 23 Jun 1867 in New Hope, Izard, Arkansas. He died on 19 Feb 1943 in Kirby, Pike, Arkansas. Ada Leida WHISENHUNT was born in 1868 in , Pike, Arkansas. Rebecca WHISENHUNT was born in 1870 in , , Arkansas. Joseph Benjamin WHISENHUNT was born in Jan 1872 in , , Arkansas. He died on 24 Dec 1919 in Foreman, Little River, Arkansas. Isam WHISENHUNT was born in Apr 1874 in , Pike, Arkansas. He died in 1914 in , Pike, Arkansas. Bob WHISENHUNT was born on 3 Apr 1878. He died on 3 Nov 1943 in New Hope, Izard, Arkansas. George R. WHISENHUNT was born in 1879 in , , Arkansas. Samuel Henry WHISENHUNT was born on 2 May 1881 in , Howard, Arkansas. He died on 1 Aug 1945 in New Hope, Izard, Arkansas. Boston WHISENHUNT was born in Jan 1884 in , , Arkansas. Frank Lee WHISENHUNT was born on 3 Jan 1885 in , , Arkansas. He died on 24 Apr 1959 in Fresno, Fresno, California. Hugh Lawson WHITE was born in 1805 in , , Tennessee. He died in 1860 in , Pike, Arkansas. Hugh married Abasha "Bashey" in 1843. Abasha "Bashey" was born in 1820 in , , Tennessee. She died in 1880. Abasha married Hugh Lawson WHITE in 1843. F i Parthinia WHITE was born in 1847. She died on 28 Nov 1889. Josiah B. WHISENHUNT [Parents] was born on 7 Feb 1827 in , Carroll, Georgia. He died on 5 Mar 1913 in , Winston, Alabama. Josiah married Sarah MITCHELL. Sarah MITCHELL was born about 1837 in , , Georgia. She died on 23 Mar 1913. Sarah married Josiah B. WHISENHUNT. 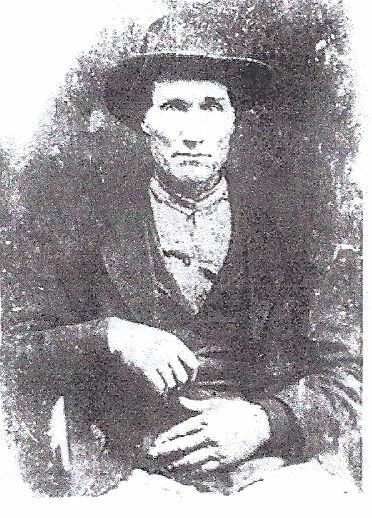 John David MILLER "Jr" was born on 18 May 1818 in , , North Carolina. He died on 29 Apr 1856 in , Russell, Virginia. John married Mary "Polly" HESS in 1839 in , Russell, Virginia. Mary "Polly" HESS [Parents] was born on 13 Nov 1819 in , Russell, Virginia. She died on 22 Feb 1924 in New Garden, Russell, Virginia. Mary married John David MILLER "Jr" in 1839 in , Russell, Virginia. John D. MILLER was born on 21 Aug 1844 in , Russell, Virginia. He died on 11 Apr 1927 in , Russell, Virginia. Peter Walker WHISENHUNT [Parents] was born on 15 Jul 1827 in , Carroll, Georgia. He died on 30 Jan 1884 in , Scott, Arkansas. He was buried in Walnut Grove Cemetery, , Scott, Arkansas. Peter married Martha Matilda BAXTER on 15 Jul 1847 in , Carroll, Georgia. Martha Matilda BAXTER [Parents] was born on 15 Jun 1830 in , Carroll, Georgia. She died on 3 Dec 1876 in Blansett, Scott, Arkansas. Martha married Peter Walker WHISENHUNT on 15 Jul 1847 in , Carroll, Georgia. F i Ophelia Jane "Feo" WHISENHUNT was born in 1850. F ii Elizabeth Frances WHISENHUNT was born on 10 Feb 1852. She died on 26 Jan 1926. F iii Flora C. WHISENHUNT was born in 1855. She died in Sep 1938. M iv John T. WHISENHUNT was born on 10 Jul 1858. He died on 8 Feb 1876. F v Lydia A. WHISENHUNT was born on 17 Nov 1860. She died on 9 Nov 1930. F vi Amanda Everline "Mandy" WHISENHUNT was born on 2 Jul 1866. She died on 9 May 1943. Jarrvis WHISENHUNT was born in 1870 in , , Arkansas. Betty WHISENHUNT was born in 1872. Jefferson Peter BAZE "II" was born on 21 Jun 1844 in Near County Site, Tennessee. He died on 10 Jan 1914 in Brady, McCulloch, Texas. Jefferson married Elizabeth Frances WHISENHUNT on 6 Aug 1868 in , Scott, Arkansas. Elizabeth Frances WHISENHUNT [Parents] was born on 10 Feb 1852 in , Seiver, Arkansas. She died on 26 Jan 1926 in Brady, McCulloch, Texas. Elizabeth married Jefferson Peter BAZE "II" on 6 Aug 1868 in , Scott, Arkansas. J. T. BAZE was born on 18 Aug 1869 in , Scott, Arkansas. He died on 10 Jul 1870 in , Scott, Arkansas. Robert Joseph BAZE was born on 12 Oct 1870 in Waldron, Scott, Arkansas. He died on 14 Nov 1921 in Chickasha, Grady, Oklahoma. Jefferson Peter BAZE "III" was born on 1 Dec 1872 in Bastrop, Bastop, Texas. He died on 2 Jul 1875 in , McCollough, Texas. Albert Carroll BAZE was born on 23 Aug 1874 in Burnett, Fannin, Texas. He died on 11 Apr 1916 in Brady, McCulloch, Texas. Jesse Kendrick BAZE was born on 25 Oct 1875 in Brady, McCulloch, Texas. He died on 18 Oct 1912 in Brady, McCulloch, Texas. Dr. Perry Allen BAZE was born on 17 Jul 1877 in Camp San Saba, Mcculloch, Texas. He died on 6 Dec 1959 in Mason, Mason, Texas. Viola J. BAZE was born on 6 Jan 1879 in Brady, McCulloch, Texas. She died on 29 Jan 1926 in Lubbock, Lubbock, Texas. Olive Ann "Ollie" BAZE was born on 1 Mar 1880 in Brady, McCulloch, Texas. She died on 23 Jan 1930 in Mason, Mason, Texas. Garrett Taylor BAZE was born on 23 May 1881 in Brady, McCulloch, Texas. He died on 9 Nov 1960 in Oklahoma City, Oklahoma, Oklahoma. Walter Jackson BAZE was born on 15 Jan 1883 in Brady, McCulloch, Texas. He died on 15 Nov 1972 in Chickasha, Grady, Oklahoma. Miles Jason BAZE was born on 15 Dec 1884 in Brady, McCulloch, Texas. He died on 28 Jan 1900 in Brady, McCulloch, Texas. Rosa Alma or Ella "Rosie" BAZE was born on 2 Apr 1886 in Brady, McCulloch, Texas. She died on 17 Sep 1967 in Brady, McCulloch, Texas. Elmer Allen BAZE was born on 9 Jul 1890 in Brady, McCulloch, Texas. He died on 26 Jan 1947 in Brady, McCulloch, Texas. Martin Luther Harold BAZE was born on 8 Aug 1892 in Brady, McCulloch, Texas. He died on 28 Oct 1942 in Monahans, Ward, Texas.